Italian Nick Rossicci and Spaniard Maximo Mozo bring together a wide-ranging tapas menu in their Shockoe Bottom restaurant Maximo’s, which opened last week. Nick Rossicci and Maximo Mozo traveled through Europe to find the best recipes for tapas. Then they traveled through Richmond looking for the best place to share those ideas with guests. They've opened Maximo's Spanish Tapas & Authentic Italian Cuisine at 14 N. 18th St. and are hoping Richmond diners will respond to their classic versions of European fare meant for sharing. The menu is wide-ranging — salads, vegetarian tapas, meaty options such as pork loin sliders, beef carpaccio, chorizo in cherry sauce; cod and calamari fritters, anchovies, paella, osso bucco and pastas. Open Monday through Thursday noon – 10 p.m., Friday and Saturday noon until 11 pm., closed Sunday. www.maximosbistro.com. 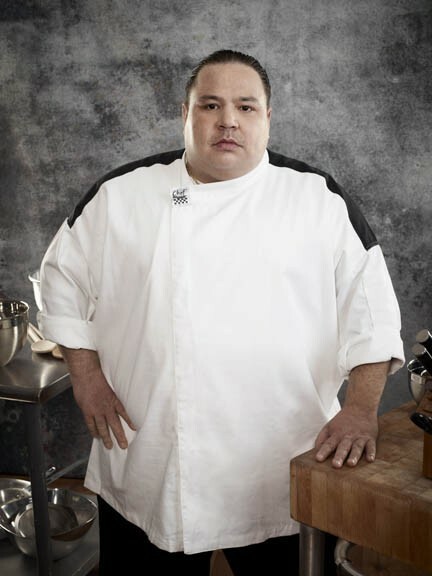 Viewing parties start next week at Stuzzi, where chef Clemenza Caserta is a contestant on the Fox television series, "Hell's Kitchen," which features caustic celebrity chef Gordon Ramsay as host. 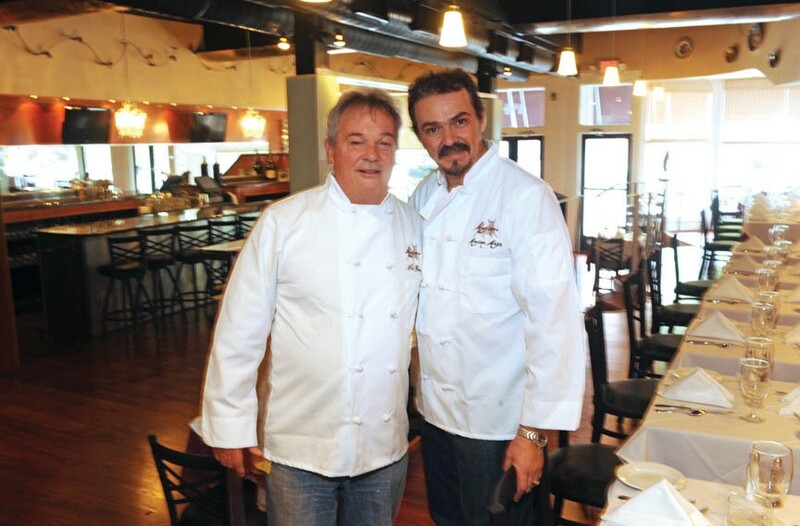 "Gordon is as crazy as he seems," Caserta says, "but is one of the best chefs you'll ever meet. He's inspiring, he pushes you to new levels, and he smells fantastic with the best cologne, so we always knew when he was coming." While Caserta can't reveal the competition's results, he says things already are changing for him, with opportunities to expand the Stuzzi pizza empire beyond the mother ship at 1 N. Belmont St. "People are definitely becoming a lot nicer," he adds. To be a contestant, Caserta auditioned "for the privilege of a lifetime," he says. "You need guts. You've got to be willing to give up everything and everybody to do it, with no outside contact for six weeks. It's a humbling experience to work with someone so accomplished, and there's a world of stuff to learn from him." One of the dishes Caserta prepared was a veal chop with prosciutto and fontina served with sautéed broccoli rabe; his specialty is rustic Italian cooking. The "Hell's Kitchen" series kicks off June 4 at 8 p.m., and Stuzzi will promote the show with parties and specials. 308-3295. stuzzirichmond.com. Southern manners: Carter's Restaurant, a new business at 8906-G W. Broad St., promises "foods that please the soul." Owners Dannie and Dorothy Carter offer meatloaf, pot roast, liver and onions, fried chicken, chitterlings, pigs feet, oxtails and fish platters, with sides of potatoes, corn bread and Southern vegetables. Burgers, breakfast and hefty sandwiches also are served in the simple storefront cafe; the business is open daily. 270-0022. New to WRIR: "America's Test Kitchen Radio" now airs on Richmond's independent radio station, WRIR-FM 97.3. Host Christopher Kimball and a group of test cooks talk technique, recipes and other kitchen how-to in a popular national series; it's a companion to a television show. Listen for it Friday mornings at 10 on the all-volunteer station. americastestkitchen.com. Tasting at Secco: Chef Tim Bereika unveils a new four-course tasting menu at Secco Wine Bar on Sundays through Wednesdays, 5-9:30 p.m., for $28. The deal includes antipasto, two small plates and dessert from a menu that changes daily. Vegetarian and gluten-free options are available; the staff is known for astute recommendations on wines. 353-0670. seccowinebar.com. Highly rated: Arcadia, the Shockoe Bottom steakhouse, has been named one of America's most popular high-end restaurants by the website Urban Spoon. Chef Matthew Tlusty says it's a thrill to be named alongside big national names in the food world — "a nice boost to let our people know we're on the right track. We're really excited but we're still working and have good things coming." arcadiarichmond.com. Dixie Donuts: Fancy cake doughnuts made in-house; local coffee. Takeout only. Open daily except Monday. 2901 W. Cary St. 359-1119. Gelati Celesti: Second location of this popular handcrafted ice-cream business, 30 flavors of ice cream, with shakes, sundaes, cones, floats and splits. Open daily. 3004 Stony Point Road next to Martin's. 320-0000. gelatiicecream.com.